The Colorado River is often referred to as the “Lifeblood of the West“. Recent estimates place the number of people dependent on water from the Colorado River at close to 30 million. This is a number that is likely expanding, and expanding fairly rapidly, given that water diverted from the Colorado River supplies water to some rapidly growing metropolitan areas, including Denver, Las Vegas, Phoenix, and Salt Lake City. Most of the areas dependent on the Colorado River for water supply are deserts that receive precipitation irregularly. These cities would not have been able to grow into the large cities they are today without this water source. Without it, our country, and it’s population distribution would be quite different. It made an entire region the powerhouse it is becoming today. The importance of this particular river to the United States would be hard to over-estimate. It is also one of the most iconic rivers in the United States. Along it’s course, it carved out some of the most scenic canyons in the world. This includes the Grand Canyon, a location iconic enough to make it into Arizona’s state motto and attract five million tourists a year. The Colorado River not only conjures up images of all of these iconic canyons, but also images of rafters, kayakers, and other water sports enthusiasts. And, of course, one of the most iconic images of the Colorado River is the Hoover Dam, over 700 feet tall, one of many dams that supplies both water and power to the Southwestern United States. 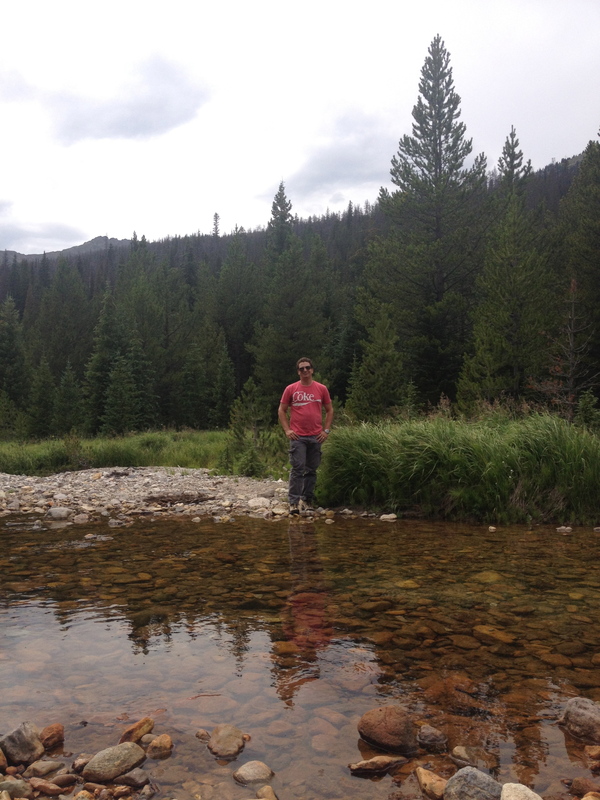 This gigantic cascading of water has it’s origins in Rocky Mountain National Park, near the Continental Divide. The headwaters are not accessible by road. 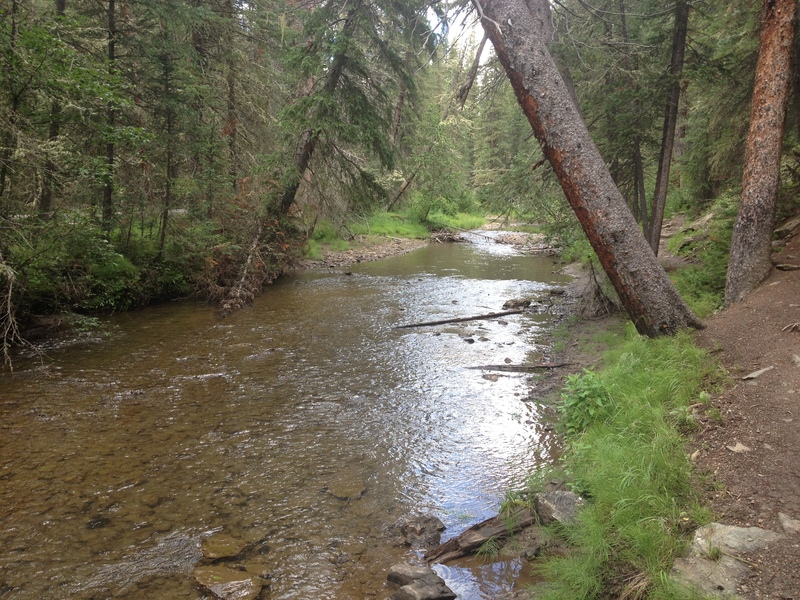 A several mile hike is required in order to reach the headwaters of this iconic river. This particular hike was not especially physically challenging. Nearly every hiking guide rates this hike as “easy”, as opposed to “moderate”, “strenuous”, or Long’s Peak, which needs a category of it’s own. Being a trail that follows a river valley, it is not surprising that the hike is easy, as steep grades are not common along river valleys. This is why many trails follow rivers. In the pre-automobile days following a river was often the safest and most direct route for fur traders, settlers, etc. The automobile came along and made travel quite a bit easier, but many of today’s roads still follow these trails. One interesting exception is Trail Ridge Road, the road I took to get to the Colorado River Trail. This road traverses Rocky Mountain National Park, but it climbs to a peak elevation of over 12,000 ft. along a ridge in the north central part of the park, as opposed to following one of the river valleys like many other roads do. 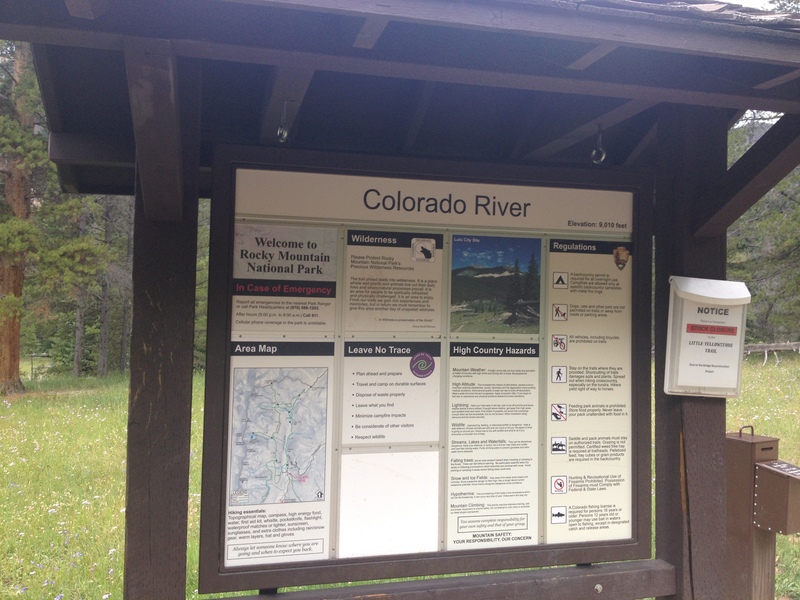 It is also the route of U.S. highway 34, a route that proceeds eastward through Estes Park, and then towards Loveland, CO via the Big Thompson canyon. 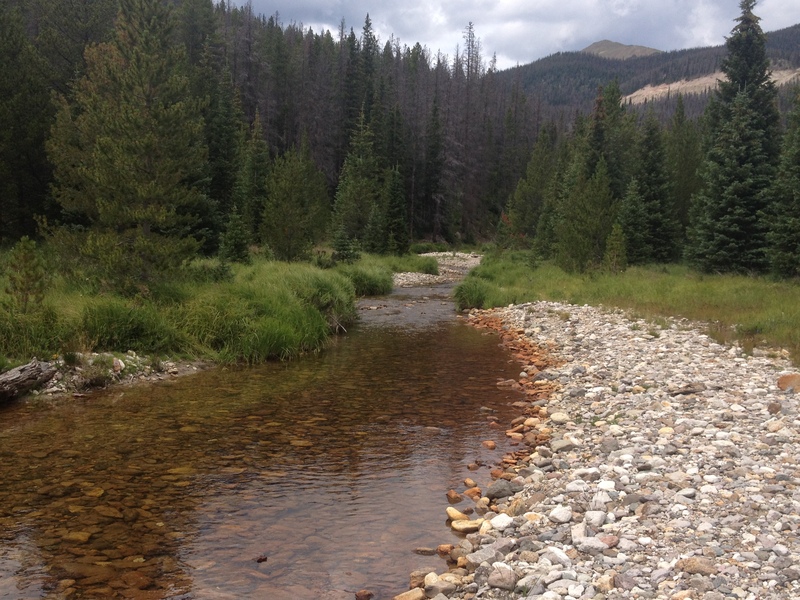 The road follows a trail through a river valley east of Estes Park, but not west of town. I wonder if that has anything to do with the fact that Rocky Mountain National Park was established in 1915, after the automobile had already been invented. So, the people who planned the park could plan around visitors with cars. Had it been established earlier, like Yellowstone, would the road follow one of the river valleys to the north or to the south, as opposed to it’s route up Trail Ridge? Historical what-ifs are always fun to ponder, but never verifiable. 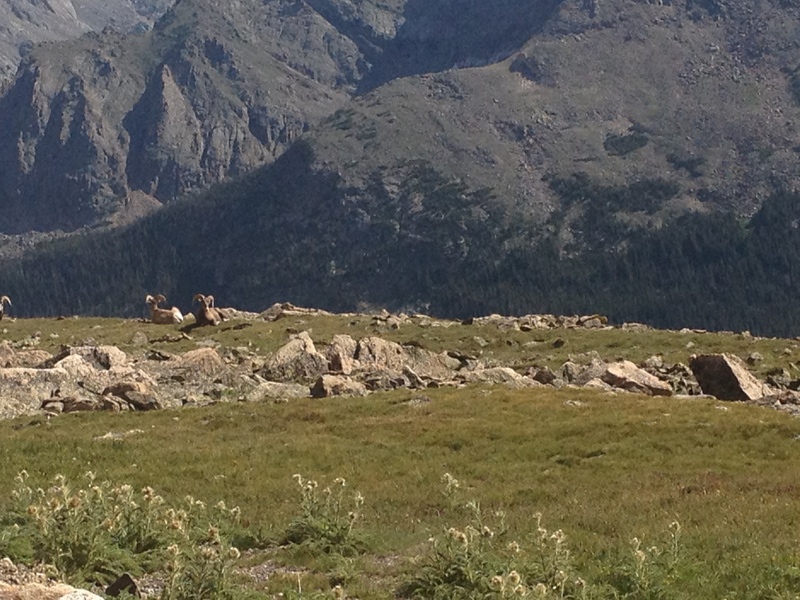 At least we know that as things actually are, visitors to the park can enjoy a scenic drive up Trail Ridge Road from mid-late May through the end of September. 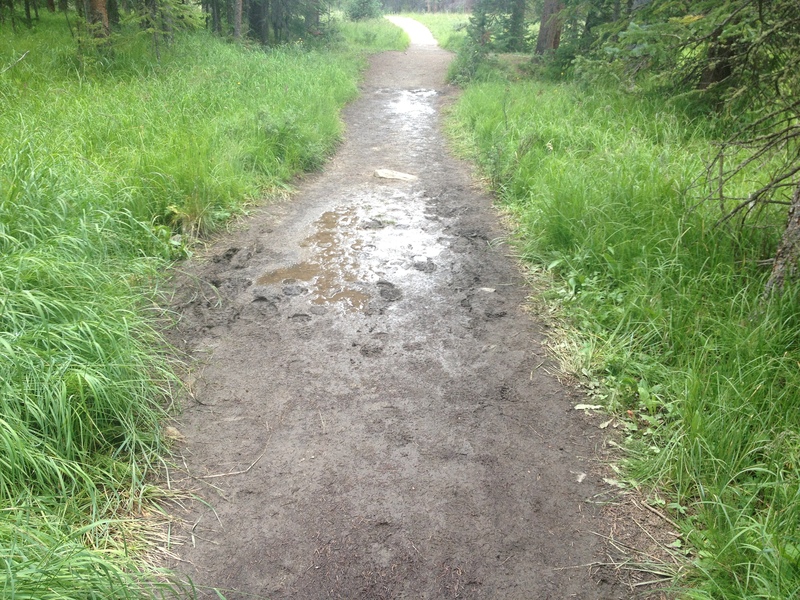 Whenever a trail follows a river, there is an enhanced risk that the particular trail will be muddy. The last couple of weeks have been rainier in North Central Colorado, and therefore, it was no real surprise to me that there were many places along this trail where the entire trail was covered with standing water, requiring hikers to either wade through it, or walk around it. Anytime hiking, or bicycling along a dirt trail next to a river, one should prepare for such conditions after rainy days or rainy periods. I was expecting humble beginnings, and even considering titling this blog entry as such, but that is simply not true. A mile or two into the trail, which is only a couple of miles from the source of the river, it already looks quite a bit wider than many rivers in this region. Although the Colorado River gets a lot of additional force, and water flow, farther downstream, when it is joined by large tributaries, particularly the Gunnison, Green, and San Juan Rivers, seeing the river here it almost seems like this particular river stands out against every other river, creek or stream that flows off of the continental divide in this region. Like that one child in grade school already reading at high school levels with a curious mind and appetite for learning, it seems destined for greatness at this early stage. One interesting thing about this particular trail is that it passes through a ghost town. 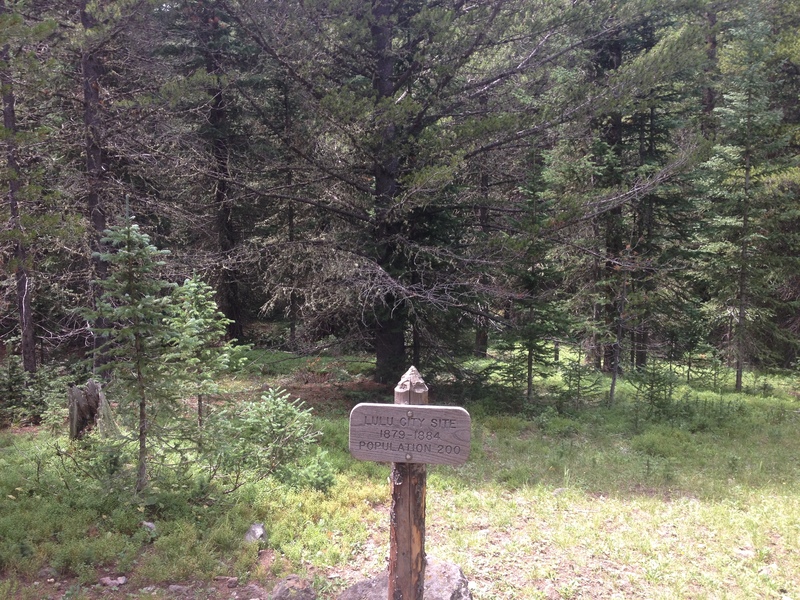 3.5 miles from the trailhead, is a place called Lulu City. In my DeLorme Colorado Atlas, it receives some fairly large lettering, so I was expecting the ruins of a town of sorts, similar to what you see on the Plains, or in the Rust Belt when you drive through a town that has been abandoned. However, it was nothing like that. All that is there is this sign, stating that a town of 200 people existed here for a total of five years. Only five years! I wonder what the story of this place is, and why it even warranted this major mention both in my atlas and on the Rocky Mountain National Park trail maps and signs. 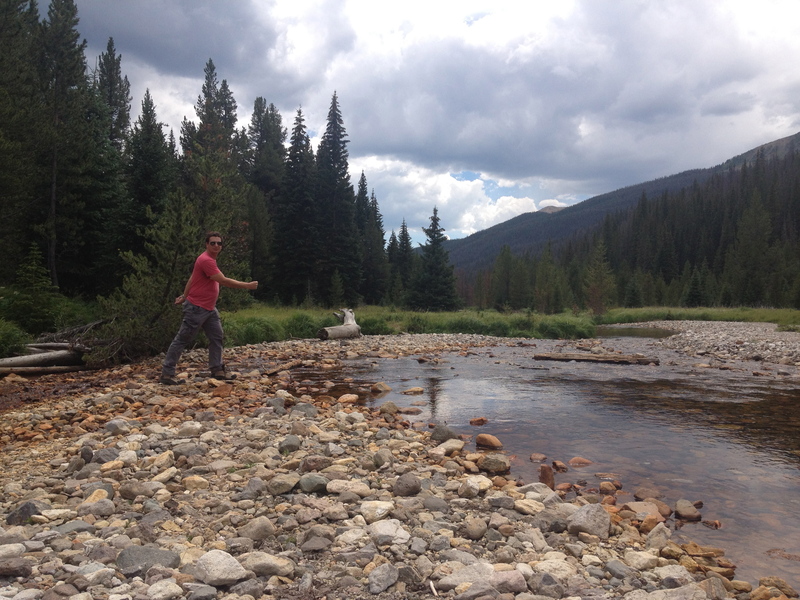 After another mile or so of not too strenuous hiking, I arrived at the headwaters of the Colorado River. The hike took less than two hours, and that was after going out last night and getting about three hours of sleep, so I was not exactly in top condition today. 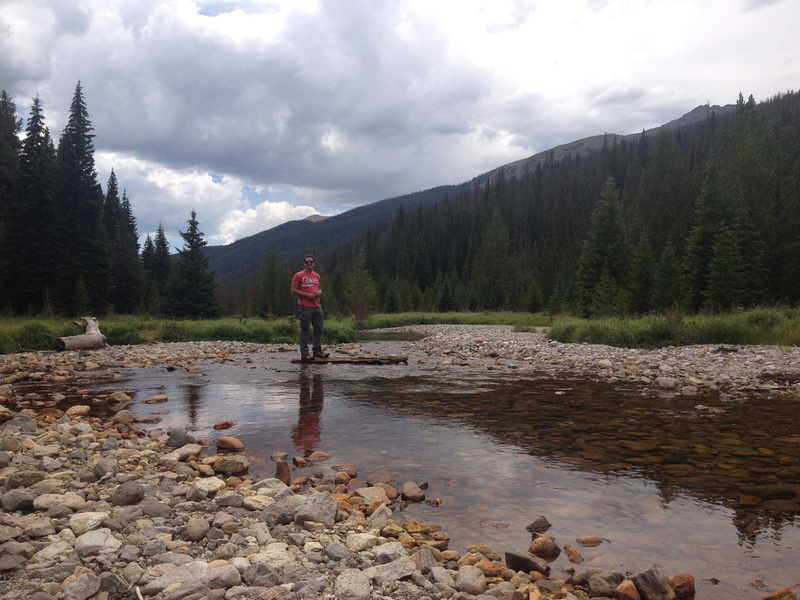 Anyone wanting to view the Colorado River’s headwaters should actually stress the drive there more than the hike. From Estes Park it is at least a half hour drive as the road traverses the park up and down a windy road. Usually, it will take longer, as travel through the park slows down at nearly every scenic overlook, as well as anytime wildlife is seen and people stop to take pictures. And of course, I can now forever say that I have walked across the Colorado River. And I really walked across it, as opposed to when I walked across it on the bridge at the top of the Hoover Dam seven years ago. That does not count. But, when I get to the Grand Canyon, Moab, or any other place where the Colorado River has carved out an iconic scene, I will know that I have actually traversed across this very river with the assistance of nothing other than two logs, probably placed in the river earlier this year by someone with the same wacky idea and reasoning that I had today. Oh yeah, and I cannot claim the higher ground with regards to everyone stopping to take pictures of wildlife and causing delays getting across the park. 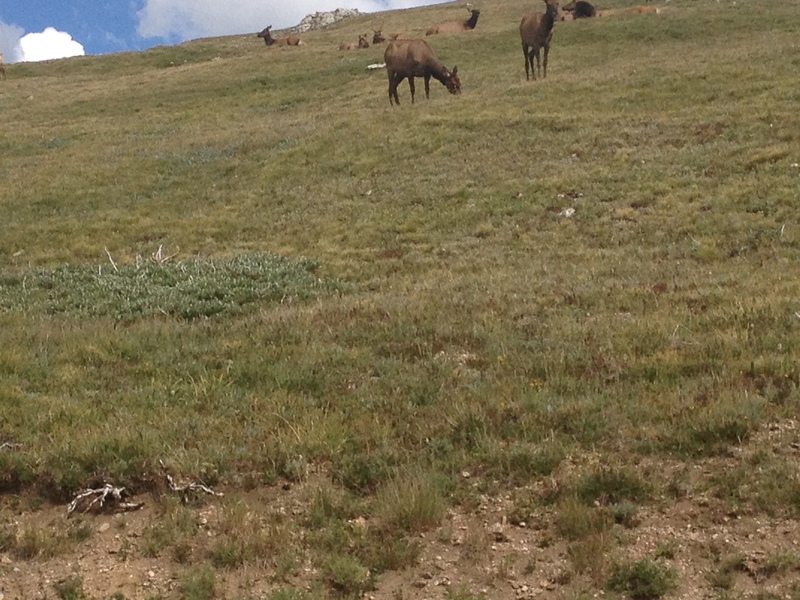 This was only the second time I have ever seen moose, and this bighorn picture could not be passed up. Five and a half hours of driving, and three and a half hours of hiking later, I can at least take solace that I rode my bike 39 miles yesterday and therefore did not really need a lot of exercise today. 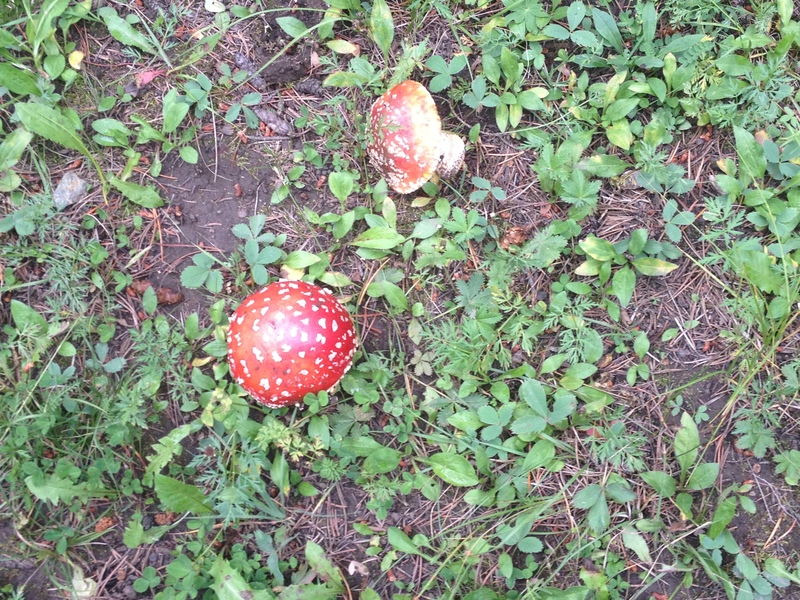 This entry was posted in Colorado, hiking, National Parks, Rivers and tagged Colorado River Headwaters, Ghost Towns, Rocky Mountain National Park, Trails, Wildlife on August 10, 2013 by Stephen Jaye.